Sam Houston State University's athletic teams have been nicknamed "The Bearkats" since 1923 when the University's name was changed by the Texas State Legislature from Sam Houston Normal Institute to Sam Houston State Teachers College. Prior to 1923, the varsity sports teams were nicknamed "The Normals". Early references to "Bearkats" spelled the name either "Bearcats", "Bear Cats" or "Bearkats". A bearcat actually is a kinkajou, a carnivorous mammal native to South America 10 to 12 inches in length with whiskers like a cat that sits up on its hind haunches like a bear. A nocturnal creature, it is known to be ferocious if provoked. It is doubtful those who coined the "Bearkat" nickname had a kinkajou in mind, however. More likely, the name came from a popular local saying of the time, "tough as a Bearkat!" The late Reed Lindsey, who was a student/athlete in the 1920s and later retired as University registrar, once said that "it was a good fighting name of the time." Since the animal in the saying was thought more mythical than real, the spelling settled upon was "Bearkat." In the late 1940s, then SHSU president Harmon Lowman attempted to change the SHSU mascot from Bearkats to "Ravens" (after General Sam Houston's Cherokee nickname). Mrs. Vernon Schuder reported that the alumni were polled, she voted for the raven but that "all those old Bearkats beat us out!" On Tuesday, January 9, 1962, a man’s best friend died. He had been the unofficial mascot for Sam Houston State for over fifteen years. The exact date of his arrival on campus is uncertain. Some reports indicate he was here in 1941, while other reports state 1948. He just appeared, with his crippled left front leg. He was a mixed breed dog, described as a “mustard-colored mutt.” He was immediately “adopted” by the student body. He had no master and no permanent home. No one seemed to know how he had become lame. Tripod, as he was named by the students, loved a parade and football games. He managed to be on the scene of all major activities. He ate at dorms or fraternity houses. He slept in apartments and dorms. He never lacked for food, affection, or medical care. He made his annual visit to the veterinarian, carried by a friend. He always managed to have a new collar when one was needed. On Friday, January 12, he was buried on the hill in front of Old Main. Huntsville Funeral Home furnished a baby casket, and the Student Senate served as pall bearers. A three gun salute was given by the ROTC. Dr. Harmon Lowman, President of Sam Houston State, paid tribute to Tripod. The band was on hand to play. Hundreds of students attended the last rites. Two full pages in the “1962 Alcalde” were dedicated to the services for Tripod. Bearkat Camp is a four day/three night experience for incoming SHSU Freshmen. New students experience the spirit, pride and tradition that have been part of Sam Houston students since 1879. Incoming freshmen are engaged in learning activities that are interactive and student led. Camp keeps students moving with a variety of group activities like tribal competitions, pride groups, socials and optional activities like sand volleyball, basketball, ropes course and a giant water catapult called the blob. Bearkat Camp provides opportunities for students to build lasting friendships with many other members of the freshman class…friendships that allow students to feel comfortable and at home as they become part of the Sam Houston community. Welcome Week occurs during the first weeks of the fall semester and serves to welcome new students to campus and returning students back to campus. Various events sponsored by Student Activities and other departments/organizations comprise this grand welcoming. Welcome Week is traditionally kicked off by New Student Move-In and continues with other exciting events such as the Kat’s Meow Karaoke, dinner and a movie, organization fairs and our annual Casino Night! Once known as "Dad's Day," this event is held each fall in conjunction with a football game. Various activities include a continental breakfast, allowing families to meet and mingle with each other and with campus administrators; open houses with the academic colleges; a Bearkat Family luncheon and Bearkat Alley tailgating festivities before the big game! Homecoming, with its various activities is also one of SHSU's oldest traditions. The King and Queen's Court honors the Homecoming King and Queen. From the 1920s through the 1970s there was a Homecoming Queen, but no King. A King was added during the 1980s. Sam Jam is a newer tradition where students enjoy the carnival night life and can witness the announcement of the King and Queen’s Court. The Parade, with few exceptions, has been held annually for many decades, with the University President serving as the Parade Marshall in the lead car. Floats and the Bearkat Marching Band can always be seen at the parade. This annual event elevates school spirit in preparation to play Sam Houston’s biggest rival, the Lumberjacks of SFA! As students boost their burning desire to beat SFA, they gather with fellow Bearkats to enjoy interactive games and entertainment before the lighting of the bonfire. Firefest also hosts a pep rally with members of the athletic teams as well as performances by the SHSU Cheerleaders, Orange Pride Dance Team, Sammy Bearkat and Airkat. The Tree of Light Ceremony is one of SHSU's oldest traditions, established in 1921. The program has evolved over the years, but several aspects remain constant including the lighting of the tree by the University President, the donation of canned food items, serenading of carols from a vocal group and ending with a rendition of "Jingle Bells" in which the audience takes their keys and "jingles" them to the tune. The President's Speaker Series, underwritten by the late Lu Ellen Gibbs, was established to bring prominent leaders to campus. Speakers are chosen for their ability to deliver messages of substance that have the potential to significantly impact our students, many of whom are the first in their families to attend college. This forum gives our students yet another opportunity to learn and grow from people who are living successful and principled lives. The ring ceremony, first held in 2004, was established to create a new tradition for those who purchase the official University ring. The official ring was unveiled during the 2003 homecoming festivities and was designed by a committee comprised of student representatives, alumni and university administrators and faculty. The goal of the committee was to develop a distinctive design that would reflect pride in Sam Houston State University, would be easily identifiable and would stand the test of time. The ring design comprises, on one side of the ring, a representation of Sam Houston, the year of the student’s graduation and “1879,” the year Sam Houston Normal Institute was established to educate and train teachers. Austin Hall is depicted on the opposite side, with a bit of the “footprint” of Old Main near its steps. 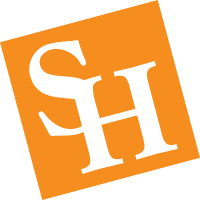 The crest of the ring includes a background star symbolizing the State of Texas, and a raised “SH,” the official university logo adopted in 2001. Cast into the inside of the ring is the word “Honor.” When Sam Houston joined the U.S. Army in 1813, Elizabeth Houston (Sam's mother) understood her son’s decision. She placed a small gold band on his finger with a one-word inscription – HONOR. The official induction and welcoming event for new students and their parents. New students are officially inducted into higher education and officially deemed Bearkats by SHSU President Dana Gibson. In attendance are the university vice presidents, deans, faculty, staff, and students. Dinner and music will be provided afterwards on coliseum grounds. For more information, contact the First Year Experience Office, Kimberly Johnson at 936.294.2227 or fye@shsu.edu. Although commencement programs are traditions, they are not unique to Sam Houston State University. However, at least one function included in the commencement programs is distinctive: the singing of Auld Lang Syne, with the clasping of hands on the last verse and the raising of the hands and swaying on the final refrain. This very old custom is usually the final traditional act of students graduating from SHSU, and the image stays with them for many years.